Models available that operate on 12 VDC / 24 VDC / 24 VAC, 120 VAC, or 240 VAC input power. Power Down Memory feature enables the detector to automatically track the status of the loop during power interruptions of any duration. 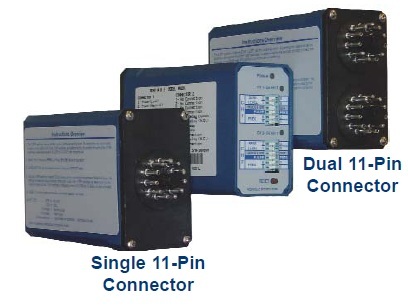 Single 11-pin connector or Dual 11-pin connector models available.